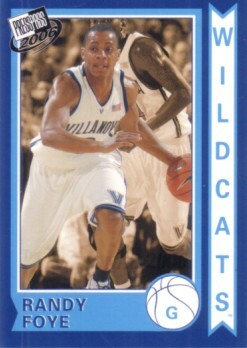 2006 Press Pass Old School promo card of former Villanova star Randy Foye distributed exclusively at the 2006 National Sports Collectors Convention in Anaheim. NrMt-Mt. ONLY ONE AVAILABLE FOR SALE.